Dimensions 0.37 by 6 by 9 in. 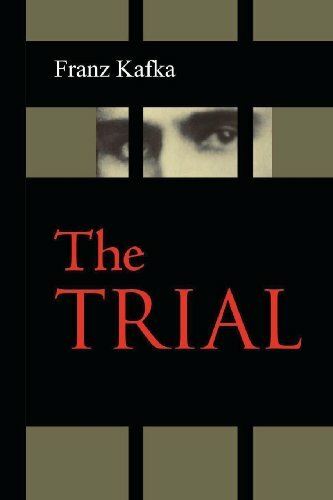 Amazon.com description: Product Description: The Trial is a novel by Franz Kafka. One of Kafka's best-known works, it tells the story of a man arrested and prosecuted by a remote, inaccessible authority, with the nature of his crime revealed neither to him nor the reader. Kafkaâs descriptions of law and legality are often treated as metaphors for things other than law, but also are worthy of examination as a particular concept of law and legality which operates paradoxically as an integral part of the human condition under modernity. Josef K. and his inexplicable experience of the law in The Trial were, for example, born out of an actual legal case in which Kafka was involved. Whether read as an existential tale, a parable, or a prophecy of the excesses of modern bureaucracy wedded to the madness of totalitarianism, The Trial has resonated with chilling truth for generations of readers.